Firefox, from Mozilla Foundation, which is a non-profit internet user and developer community is one of the most popular and efficient web browsers around since 2002. This free and open-source browser came as a welcome alternative to the then most popular Internet Explorer which had by them completely nudged out almost all competition such as the Netscape Navigator and Opera as it came packaged with Windows, which again was the most popular choice and widespread operating systems around. 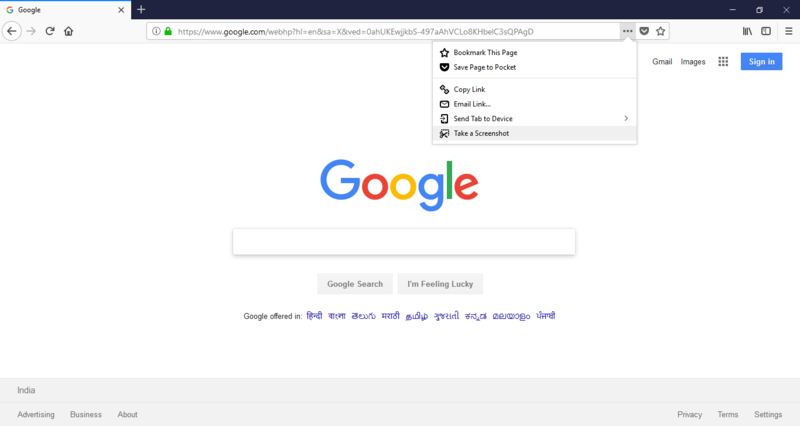 The refreshingly new layout and ease of multitasking features such as multiple tabs and promise of blazing browsing speed decorated with a cute and innovative logo of a fox with a blazing tail marked its position on top of the internet browser chain. Remarkable security features, control over pesky popups and a plethora of add-ons, extensions and developer friendly options made it almost invincible till Google's behemoth of a browser – the Chrome, overshadowed this able warrior with all these features and added cutting-edge technology, speed and user-friendly interface coupled with Google's range of services and security dished out as part of the package. The fact that the Chrome while being minimalist in design, exploited the maximum possible screen areas of most devices that it was used in, went well with users and silenced every other competition. Ever since, Mozilla's Firefox and Google's Chrome have been competing nail, tooth and dagger and have introduced a range of features, functionality and user-experience elements, trying to get the attention of their users in every way possible to retain their respective positions and grow their user base. Both are highly efficient and useful in their own ways, but somewhere down the line, there is a fine line or subtle difference in their approach to the internet browsing experience they provide for their users. While Google's Chrome might be more focused on the subtle integration of its range of services and may be advertising programs homogenously but securely integrated into its browser, the Mozilla Foundation's Firefox is more about spreading awareness amongst its users about staying protected online and addressing privacy concerns. Firefox's latest offering the Firefox Quantum has taken the competition to an all new level as it boasts of faster speed, a range of new features and a sustained and pragmatic approach to security and privacy, goading users to try its new section which allows users to control what data is collected about them and how it is used in face of the ongoing discussions related to privacy concerns flagged by users on major social media sites and internet communities. The Firefox Quantum was launched in November 2017 with the version 57.0 Firefox Release which would not seem too exciting for general users but made the gamers and developers who are nitpicky about speed and memory consumption quite queasy and squirm with excitement in their seats. 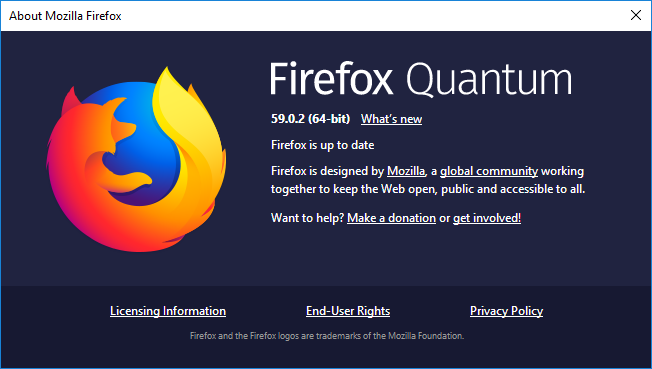 The Firefox Quantum or simply 'Quantum' according to its release description is 2 times faster than its earlier Firefox versions, lightweight – meaning less memory usage and focuses heavily on privacy with tracking protection. The core of all internet browsers is the layout engine which helps render the pages we browse in line with required web-standards and security elements. Firefox basically uses the Gecko engine which is again developed by Mozilla and is constantly under refinement and improvement. Over the years, Firefox stuck largely to this browser engine, but like every other project one must keep an eye on ongoing changes in the worldwide internet scenario and future trends and Mozilla is simultaneously working on more robust technologies such as the Servo project which aims at helping reduce the memory usage of browser layout engines. Quantum is a thin strain of this technology which is incorporated early on into the Gecko engine to help improve the speed and simultaneously reduce memory usage. The result is a turbo-boosted overhauled browser layout engine that is built to outperform the competition from Chrome. For the users, this means more efficient page loading, lesser page load speeds and lesser memory usage which is quite detrimental to a user's mental state as when several tabs need to be opened during browsing system can start behaving sluggishly. Both in cases of Firefox and Chrome users, especially when using older laptops and desktops implementing most versions of Windows 7, 8 and 10 observed slowdowns, jerky movements, hung systems and crashes when 10 or more browser tabs were opened and when multiple instances of the browsers were opened. Observing the Processes in Windows Task Manager easily showed that most of the system resources such as Memory and CPU were being guzzled by these browsers taking a toll on other processes. Smarter users would try clearing the browser cache and restarting the browsers, only to find the same issue persisting again. The Quantum addresses this and challenges its users to go ahead and open as many tabs as they would require with a promise of deliverability without compromising on speed and guzzling up extra memory. The design is also more intuitive and modern like the Chrome, maximizes the visible browsing area covering the screen space quite effectively allowing better focus, responsive tabs and smoother page scrolling making it a pleasure to use. 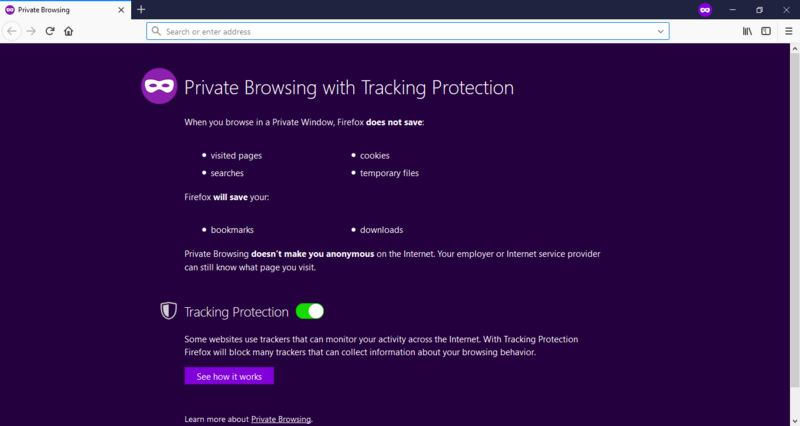 Firefox Quantum offers private browsing with tracking protection which is an essential component for safe browsing and user security these days. Online trackers are more and more intrusive in the current marketing and advertising scenario, aim to track the online behavior and visit history of web users, obtrusively read emails exchanged and follow social media interactions to understand the users personal preferences so as to use all this data collected to serve targeted Ad campaigns and also sell this information to other parties with or sometimes without known consent of the users. There is no guarantee that all this data generated would be used for intended ad campaigns and could be misused if it falls into wrong hands. The Quantum helps you nip the issue in the bud and stop these trackers dead in their tracks. One of the most remarkable features introduced in this new serving is the ability to take screenshots which is a very useful tool for users to save screenshots of their favourite online content for later consumption. You have the option to take a clip of the visible area or the entire web page as per your requirement. This can then be copied to the clipboard, downloaded as an image file to your computer, or saved to the Firefox screenshot cloud service. 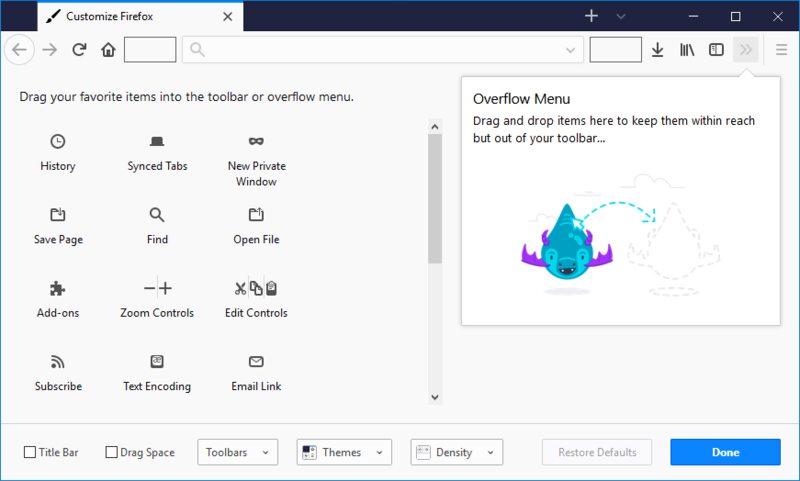 Again, Firefox lets you have some of the most extensive collection of Add-ons made by the developer community which helps you supercharge the functionality and personalize Firefox or simple spruce it up in a stylized way and theme it to look like your own. The ability to customize the overall layout so that you can easily access the most useful tools you need where you need them on the toolbar and reorder items on the toolbar and menu to meet your requirements makes this a highly desirable buddy especially if you are from the developer community. This only a small sampling of the available tons of features. Now apart from desktops, Firefox is also available for mobile devices such as those with Android and iOS and you can sync between devices. This gives you plenty of mobility so while you are working on your desktop and would like to send the content on your browser to your mobile so you can carry it out, - all you need to do is send the tab to a device – which of course you would need to be signed in to use. In the current age features such as speed, agility, robustness, security, appearance are some of the factors that influence your decision to use a particular browser and when privacy is of utmost concern and you have an option to control usage tracking – the Quantum definitely make a statement and urges you to launch it up and feel secure when you go browsing that online store or catch up on that news, play games or simply socialize using various platforms without the fear of being tracked without you knowing it.